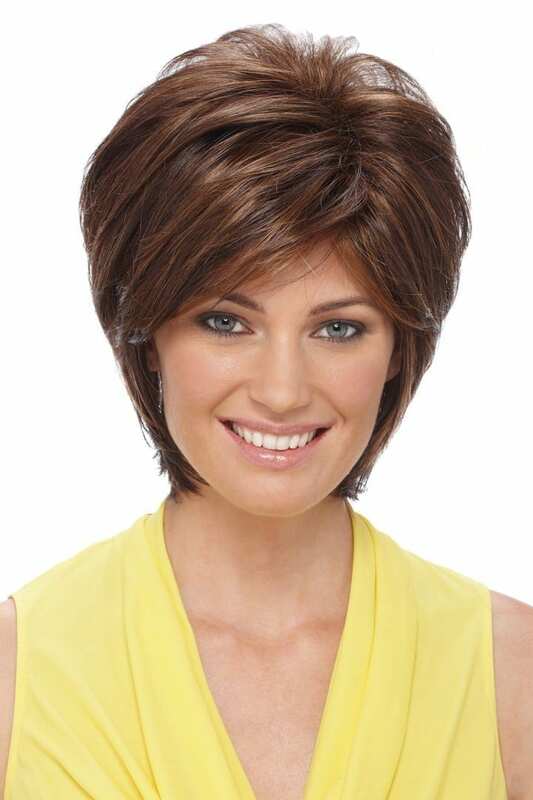 Renae wig by Estetica is a short and sassy shag. Renae has loads of volume at the crown with soft razored layers throughout, it looks great. Longer layers help hug the neck and frames your face perfectly.